Over the past several months I have been on a total broccoli salad kick. Whenever we go to the store I can’t resist getting some at the deli counter. I figured I might as well learn to make my own, and so I did. And it was the bomb diggity! This broccoli salad is the perfect balance of crunchy and creamy, and sweet and salty. I could seriously eat this as a meal all on it’s own, okay I did eat this as a meal all on it’s own. I ate it by the bowlful! It is the perfect summer salad. It’s super light and refreshing. I don’t care if you are a fan of broccoli or not, you will love this recipe. I will make broccoli lovers out of all of you yet! 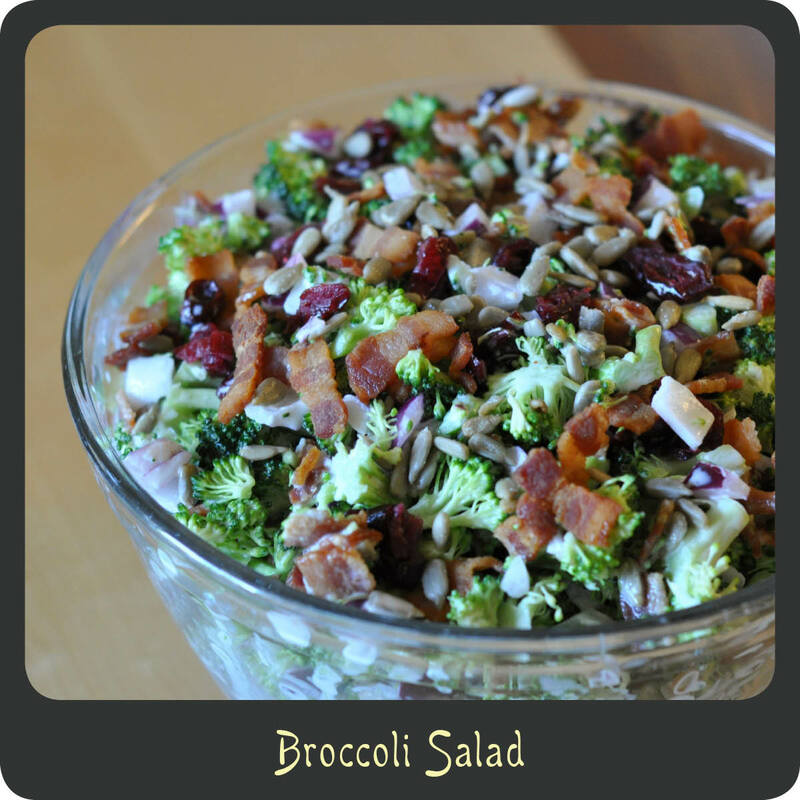 In a large bowl combine the broccoli, bacon, red onion, craisins, and sunflower seeds. In a small bowl whisk together the mayonnaise, sugar, and vinegar. Drizzle the dressing over the broccoli salad and toss to coat. Cover the salad and place in the refrigerator for several hours or overnight. Whenever you go to a BBQ there is typically the classic macaroni and potato salad. Don’t get me wrong I LOVE both of those dishes but with back-to-back BBQs throughout the summer I sometimes am looking for a way to mix things up a bit. This pea salad was a welcome addition to a BBQ I went to last weekend. It was very refreshing and light. There is a nice sweet flavor to this salad similar to a coleslaw. If you are looking for a tasty summer salad for lunch or dinner give this a try. You can have the whole thing thrown together in 5 minutes. You will find the hard part is just waiting for it to chill. The unique combination of flavors go together incredibly well. This is one of those salads that you may not quite be sure of, but once you give it a try you and your guests will keep going back for more of it. Note: I made this a day ahead of time and it was awesome! Feel free to make it a day in advance if you need to. 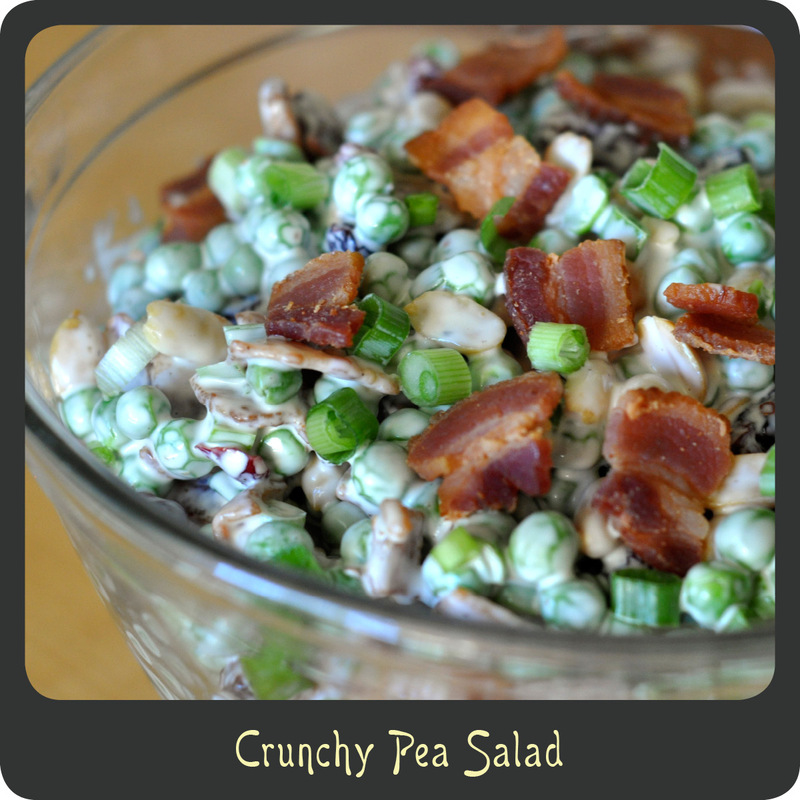 In a large mixing bowl combine sweet peas, peanuts, green onions, bacon pieces, and craisins. In a small bowl whisk together the mayonnaise, vinegar, sugar, soy sauce, Worcestershire sauce, salt, and pepper. Pour the dressing over the salad ingredients and toss to combine. Recipe adapted from Sugar n’ Spice Gals.